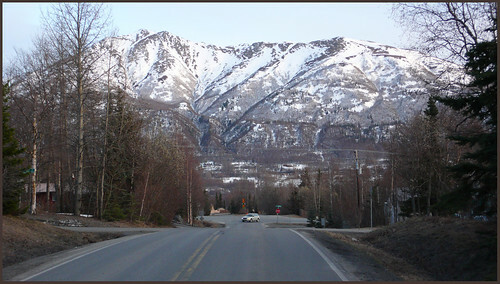 Spring snow on the mountains, Eagle River valley. 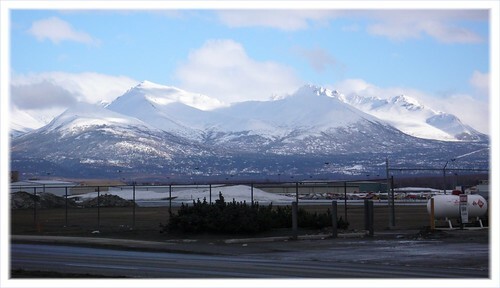 Spring blizzard results in late season snow dusting on Chugach range. 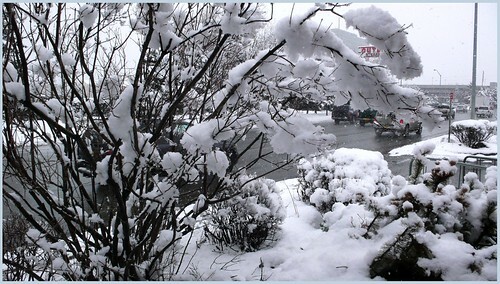 Winter weather, a little too persistent.